San Diego’s Coffee Party Movement officially forms up this Saturday, March 13th, as its first “kick-off” meeting is being held. This initial gathering – organized for the City of San Diego – will be at LeStat’s coffee house on Adams Avenue at noon. There’s also chapters forming in North County and Ramona. And there’s hundreds of such meetings occurring across the country this Saturday. Of course, the meetings are at coffee houses. It’s the Coffee Party Movement. 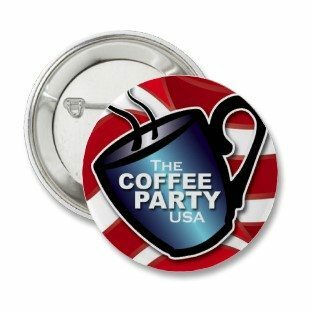 Born out of a frustration with the lack of progress on governmental levels, and with the tiresome hindrances of over-zealous partisans, and partially in response to the seemingly monopolization of public discourse at the grassroots by the Tea Party movement, the Coffee Party efforts began with one woman. She wrote about her frustrations with the way things were, and saying that we should start a “coffee party movement”. She blasted her facebook page with that – and within days she was flooded with the responses. That was in late January. Less than two months later, there’s hundreds of chapters forming nation-wide, and the 100,000 fan mark on the Coffee Party facebook page was reached a couple of days ago. We in San Diego who are beginning our own chapter have also felt frustrated with the political landscape. We have connected with the “National” and they have advised us to coordinate our first public meeting with their effort to do this nation-wide on Saturday the 13th. So, we’ve organized our first one for this Saturday. San Diego, California. – The San Diego chapter of Coffee Party USA will host National Coffee House Day on March 13, 2010, at Lestat’s Coffee House at 3343 Adams Avenue. In the midst of growing frustration with the political climate of the country, the grassroots movement Coffee Party USA has declared March 13, 2010, National Coffee House Day, during which Americans across the country will meet at coffee houses and around kitchen tables to facilitate informative and civil dialogue about a myriad of issues. This diverse and non-partisan organization has drawn members from all walks of life who wish to regain their civic pride and have a strong desire to contribute to the political discourse that is the basis of our democracy. The Coffee Party movement gives voice to Americans who want to see cooperation in government, and welcomes everyone to the table. “We are purely grassroots movement, independent of any party, corporation, or lobbying organization. That is our strength and we plan to use it to facilitate a collaborative process that would encourage people to come together as a community, checking party affiliation at the door,” said Annabel Park, the founder of Coffee Party USA. As voters and grassroots volunteers, they intend to use new media and social networks such as Twitter, Facebook, and YouTube to support leaders who work toward positive solutions, and hold accountable those who obstruct them. On March 13, 2010, National Coffee House Day, Coffee Party USA plans to take the next steps towards creating a movement that will reignite the passion for civil discourse and participatory democracy that has been absent from the political arena for some time. “We want a society in which democracy is treated as sacrosanct. The Coffee Party is a call to action. Our Founding Fathers and Mothers gave us an enduring gift — Democracy — and we must use it to meet the challenges that we face as a nation,” Park says. We should not divide ourselves over differences of opinion. We need to be one community. Our democracy is what unites us as a people. We must protect it, and to protect it we must engage in the political process, respecting the reality that we are diverse nation with diverse points of view. You can learn more and join a chapter near you by visiting the sites listened above. i’ll be there in spirit… have a previous engagement. Today at our first Coffee Party meeting, we had a great turn-out! 75 people showed up. We broke down into smaller groups at one point, and we will be having follow-up meetings over the next week to two weeks, in the different areas we broke up into. We broke up into “Coastal”, “Eastern San Diego” and “Mid-City Alpha” and Mid City Beta. Watch this site for future developments. Channel 8 News showed up, so look for us at 5 and/or 6:30 tonight. Newer Article: San Diego Coffee Party Movement first meeting gets a big turn-out!